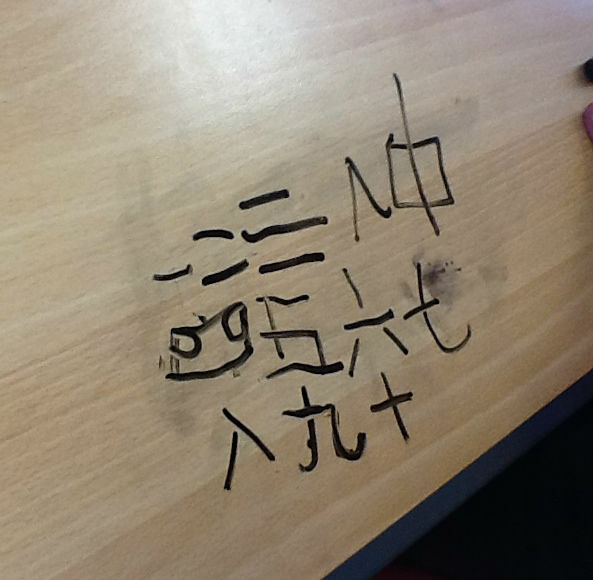 Getting them writing #2 中国书法 Zhōngguó shūfǎ – Writing on mini white boards and desks! 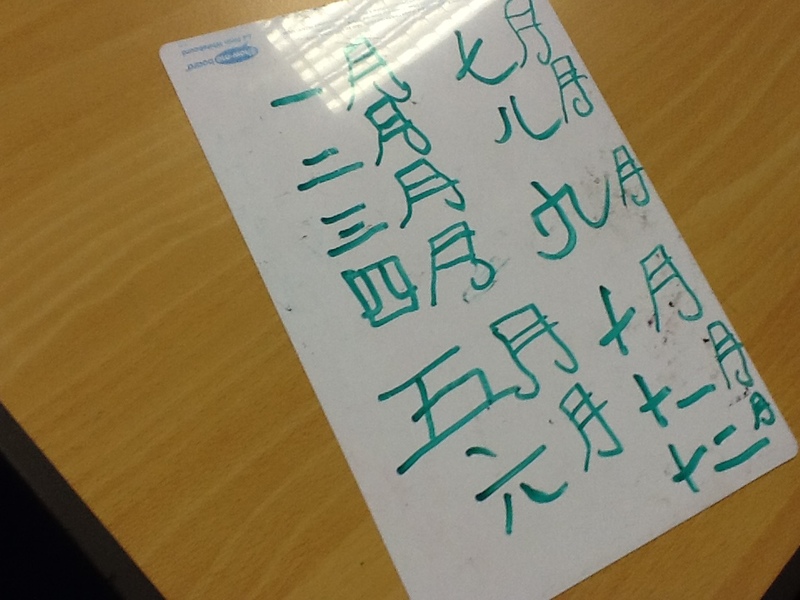 Using mini white boards means that the children are more confident to give it a go. They are free to make mistakes. You can photograph as well as photocopy them for paper evidence to go in their folder. You can instantly see how the students are progressing if you get them to hold their boards up as well as getting them to self assess each other. It also means that all students are engaged. I asked the students to start practising their characters but they only had a white board pen, they looked confused. I told them to write on the table and they thought it was great fun to be allowed to write on school property. It meant that all students were engaged and practising their characters! Success! If you use whiteboard pens, you can clean the desks with baby wet wipes.